Whether you’re celebrating a special birthday or a milestone anniversary, invitations are an essential part of any big party. Sending personalised invites can help set the scene of your celebration and kick-start the exciting build-up to the day. It’s also a great way to give your guests all the essential information they need. Discover inspiring party invitation ideas for all occasions below and get started with creating your own at Solopress. It’s no secret that adults enjoy a party just as much as children do. By sending out the perfect birthday party invitation, you can get everyone in that celebratory mood from the offset. 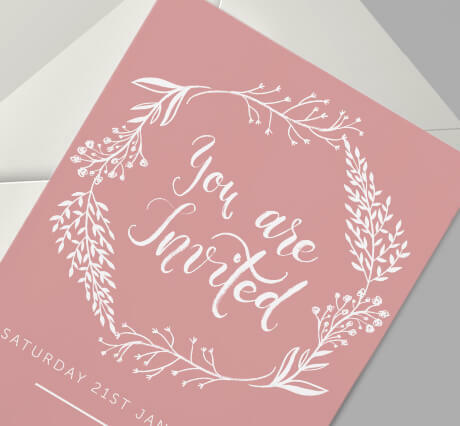 Whether you’re planning a sophisticated soiree or a fancy dress shindig, choosing the right look for your invitations can give your guests a heads up on what to expect. 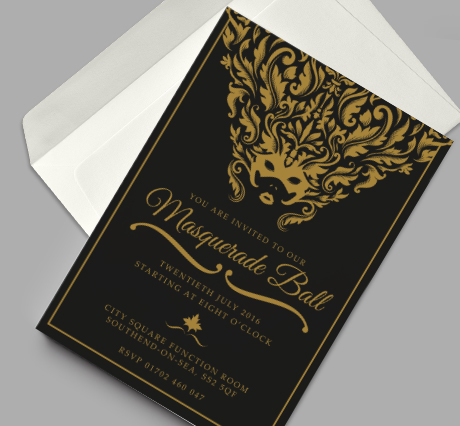 For themed events such as a masquerade ball, try choosing a black and gold colour scheme for a Gatsby-esque feel. If you’re planning a garden party, choose earthy greens and browns with Kraft paper for that added wow factor. 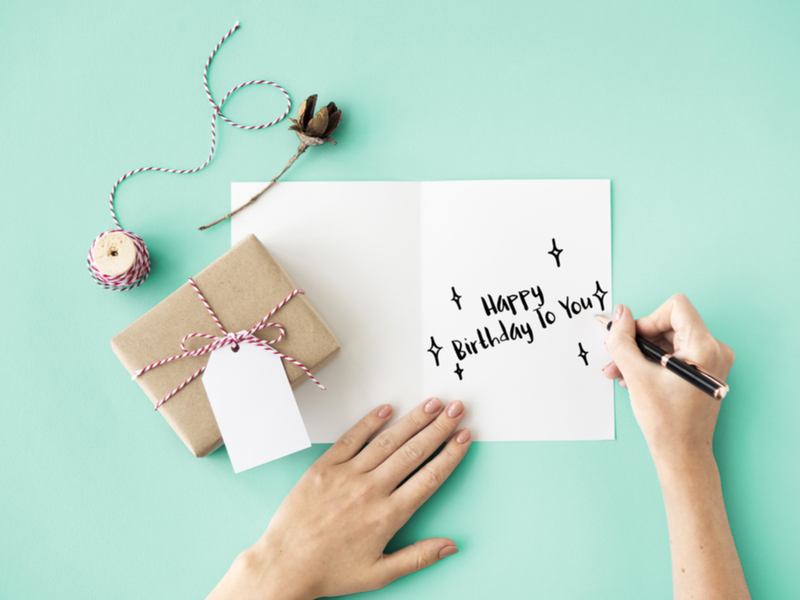 Wording for birthday party invitations: If you’re organising a surprise party or planning a special milestone birthday, you’ll need to make this clear on the invitation. It’s also important to include any themes or requirements of the party – like the dress code, drink and food choices or RSVP deadlines. 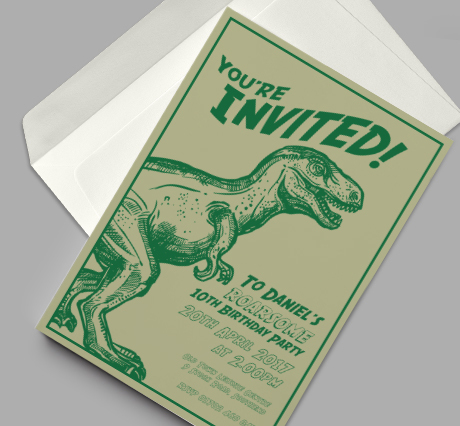 From pirates and superheroes to princesses and dinosaurs, your kid’s birthday party invitation should be bursting with bold graphics and vibrant colours. Pick out a playful theme and attention-grabbing font – those little touches make a big difference. Choose a vibrant green and yellow combination with DL sized paper for a dinosaur spectacular or an elegant mix of gold and pink matched with a silk paper finish for an invite fit for a princess. 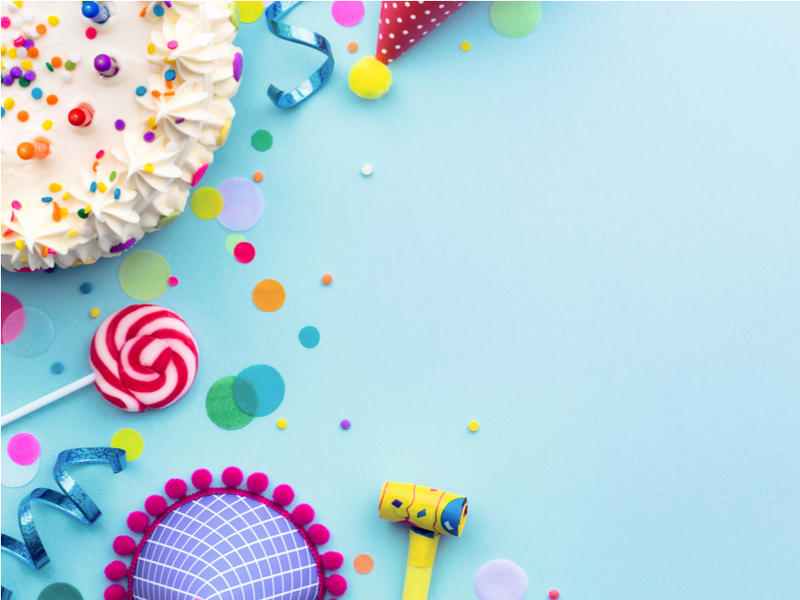 Wording for children’s birthday party invitations: With a children’s party, you’ll need to let parents know as much information as possible. Is it fancy dress themed and will food be included? Do parents need to stay for the whole event? Make sure you clarify these small details. Yuletide parties can be the highlight of the season. If you’re planning a corporate event or a family gathering, sending out personalised Christmas party invitations can start the festivities with a bang. If you want to show your love for the season, opt for traditional red and green colours. Add complementary novelty graphics such as snowflakes or reindeer. For a classier affair, try metallic hues against a black background matched with a gloss finish for that added sparkle. 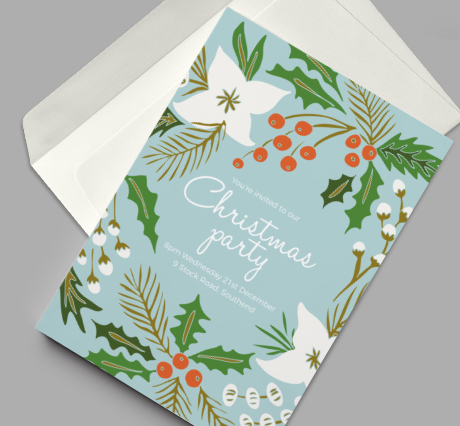 Wording for Christmas party invitations: Christmas parties can vary depending on sizing, venue or type, so it’s important to clarify any questions in your invite. These may include food requirements, deposits, plus one attendances or reservation deadlines. 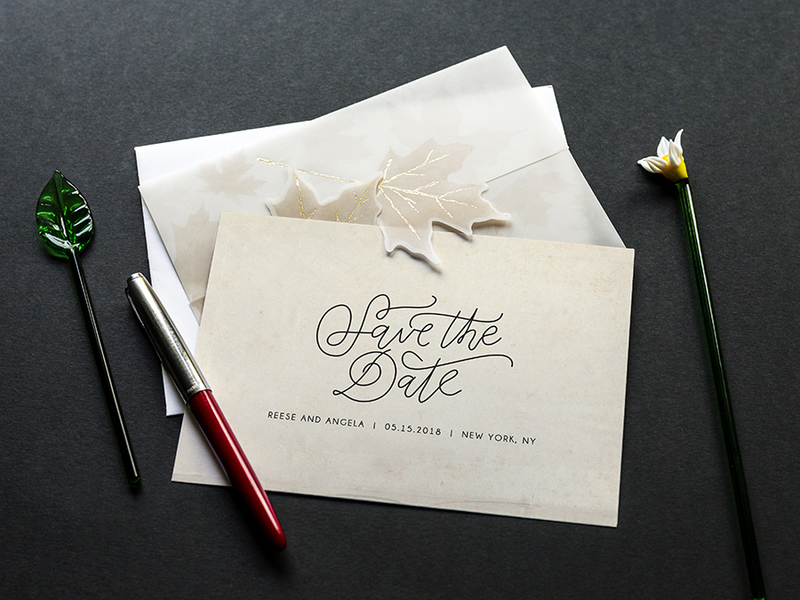 When it comes to designing your engagement party invitations, you want to match the look of your upcoming nuptials. If you’ve not set your wedding plans quite yet, monochrome or cream tones work well to create a classic appearance. For something more modern, try bold navy against a blush hue. You could even use a cute engagement photo as the central feature of the invites. Selecting the right paper can also highlight the style you’re after for your big day. For a rustic outdoor event, print your invites on brown Kraft paper or for a traditional affair, opt for gloss paper. Wording for engagement party invitations: An engagement party invitation should highlight your future wedding and represent you as a couple. If you want to make your invites really special, you could include personal details such as how you met or how long you’ve been together. Sending out personalised housewarming invitations is an exciting part of the moving in process. You want to show your new home to your loved ones and let them share in your celebrations – and your invitations should highlight this. Your invites should have a homely feel with a personal touch, such as a photo of your new home, so your guests know what to look out for. 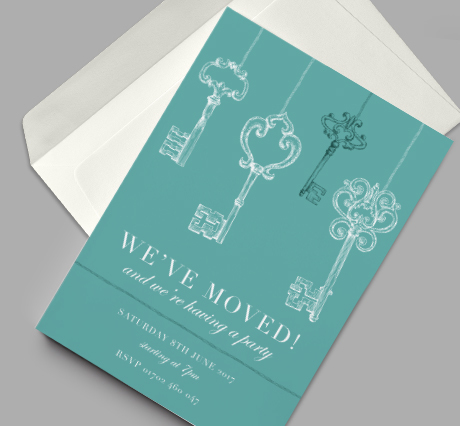 When designing your housewarming invitations, think about the interior of your home. If you’re a fan of shabby chic furniture then opt for a vintage theme or for modern digs use a black and gold colour combo. Wording for housewarming party invitations: When designing your housewarming party invites, words like ‘first home’ or ‘modern new-build’ gives guests an idea of what to expect in the next chapter of your life. Saying bon voyage to your colleagues as you move into the next stage of your life? Retirement party invitations are just what you need when planning your celebrations. When designing them, focus on how you plan on spending your retirement. Opt for a floral design if you’re a keen gardener or palm trees if you’ve booked an around the world adventure. Also, reflect upon the type of party you are hosting, from an elegant afternoon tea to summer BBQ, your invitations should embody this. Wording for retirement party invitations: A retirement party, whether with family or at work, should be marked ‘in honour’ of that individual. You can add a personal touch by stating the number of years in service to a specific company or working life in general. When creating your next party invitations remember that the small details can have a central impact. 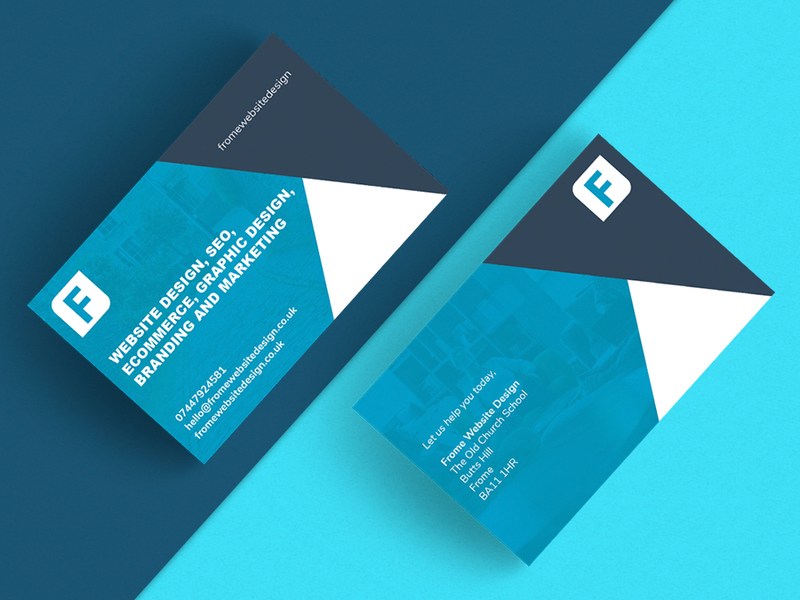 By choosing to order your invites through Solopress, you’ll have complete control of the design. To get started, visit our party invite page, select your format and upload your artwork to our template – we’ll take care of the rest. 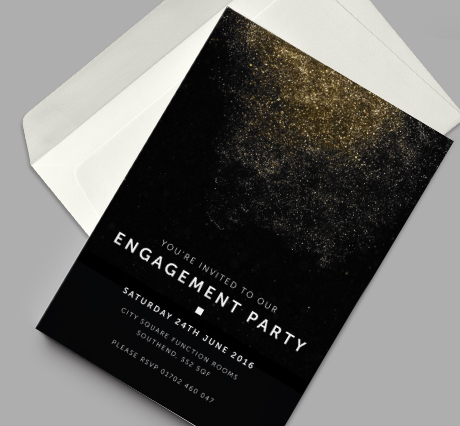 With quick turnaround times and free standard UK delivery, you won’t have to wait long for your invites to arrive.